Generally when I go into my favorite package store to stock up for the week, weekend, Tuesday, lunch…I generally grab a couple of six packs for the fridge and 3-4 esoteric breweries or brews that I’ve never tried before. Last week I picked up single bottles of a Norwegian Saison, an English Bitter, and an Imperial IPA to go along with a mixed 12-pack of Tröegs. Very rarely do I purchase more than 1 beer from any given brewery (Aside from mixed packs) and rarer still will my basket be filled with more than 1 beer from a single style. I’m not sure where my habits came from but I do the same thing at bars and even eat the same way at buffets – Gotta try a little of everything. 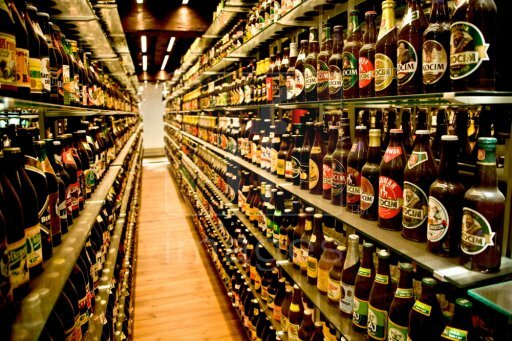 Anyway, this past Saturday I was staring at long lines of shelves and came to the realization that I’d sampled 90% of the breweries on offer, yet had only tasted maybe a quarter of the beers in the store. Translation: Why the hell don’t I try everything a great brewery has to offer? Sure, I’ve gone through 100% lineups when I can (Mostly for European breweries), but the reality is that there are gaps in my tasting notes and that’s a damn shame. So, to start, I figure I’ll tackle one brewery that’s never disappointed and clearly should be sampled in its entirety. But where to start though. Rogue? Simply too many offerings and past experience tells me that I should keep missing a few in that lineup. Dogfish Head? I’ve had almost everything from them and the one’s that I’ve missed were on purpose. Anyone that hasn’t sampled everything that comes in 6-packs from DF (Except for the Aprihop) is missing out but the big bottles are a different story. Stone? Maybe, but the one’s I’ve missed just seem to be variations on their more popular beers. Allagash? Love to, but can’t afford to finish off their lineup by myself when some of their best fetch over $20/bottle. 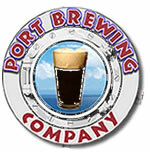 Port Brewing? Well, looking at the shelves I’ve only sampled about half their lineup and they’re all fantastic. They also run the Lost Abbey line, which again I’ve only had about half of and have been overwhelmed on every occasion. I think we have a winner, so let’s get a little background out there on Port Brewing Company and the equally famous Lost Abbey. For anyone on the East Coast that’s been toiling away in the craft brewing scene for the better part of two decades, Pizza Port holds a special place in mystery and intrigue. If you looked in a beer magazine 10 years ago you’d often read about a pizza parlor, brewpub, or some other odd San Diegen institution that was putting out award-winning beers that no one outside the restaurant could get. Pizza Port started brewing beers to go along with their pizza in 1992 and slowly spread their chain to a couple of other CA locations (Unfortunately never reaching Boston, or anywhere closer than 3,000 miles from my house). By the mid 2000’s Pizza Port reached a point where capacity vs. demand had swayed well into the good side and they needed room to grow. Just at that time, Stone Brewing Company was exploding with good press and good beer and they moved out of their old location to new digs, thus leaving a vacated brewery for Pizza Port to move into. In 2006, Port Brewing was born and the country began to take notice as beers started popping up in bottles, kegs, and more importantly at beer festivals where lots of us beer geeks got the opportunity to spread the good word. Following his passion, brewer and co-founder Tomme Arthur also launched the completely separate Lost Abbey lineup out of Port Brewing, which includes Belgian-inspired brews and a crazy assortment of various barrel aging techniques. Just how crazy is Lost Abbey’s commitment to barrel aging? They now use over 800 barrels ranging from Bourbon barrels to those that housed wines, Brandy, and Sherry, among other delectables. If it’s wooden and contained something delicious, chances are Lost Abbey will get their hands on it and fill it with beer. With roughly 30 beers between Port Brewing and Lost Abbey holding over 100 ratings on Beer Advocate and numerous other offerings out there, I’ve got my work cut out for me. Sure, some of these beers I’ll probably never see in my local store but anything new that comes in will immediately find a new home. If you’re new to Port Brewing and Lost Abbey, here’s some brews that you absolutely must try. In general, Port will give you more traditional American styles and beers that are typical of the West Coast and San Diego brewing in particular. Hops, hops, and more hops are the norm. 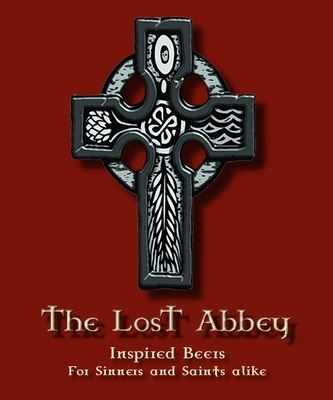 Lost Abbey will have a more Belgian feel but they certainly put their own spin on traditional Belgian styles. If you like The Bruery or some of the higher-quality beers from New Belgium out of Colorado, you will love Lost Abbey. Old Viscosity – Click on THIS LINK from Brother Barley for a nice description of this American Strong Ale (You’ll have to scroll through his initial prose, but I’m sure you’re used to that). Don’t let the name fool you though, it’s creamy, rich, and luscious and doesn’t resemble motor oil in the least. Hop 15 – One of the best Imperial IPA’s you’ll ever come across. They have a few IPA’s in their lineup that are a bit more subdued, but if you’re a Dogfish 90 Minute fan you’ll grab this guy every time. Anniversary Ale – Their annual release of a phenomenally hopped Imperial IPA. My local store tends to have a couple of vintages on hand and aging does wonders for this brew. The Angel’s Share – Regardless of what barrel they use to age this Strong Ale (They’ve used Bourbon and Brandy recently), this is a leading example of how American brewers can challenge even the best that Belgium has to offer. Always boozy, always complex – I look forward to popping another one open on Saint Crispin’s Day. Avant Garde -The Biere de Garde style is a farmhouse Ale originating in France that shares many similarities with the Belgian Saison. Earthy, slightly fruity, with a fantastic bitter finish. Witch’s Wit – Let’s take a closer look, being that this is the beer I chose to kick off my Port / Lost Abbey completion project. It seems that I’ve done a few tastings on Witbiers recently, extolling the virtues of a brewer’s pension for coriander, grains of paradise, and lemon/orange peel. This seasonal from Lost Abbey features the typical coriander and orange peel, but also goes an interesting step further with grapefruit zest. I love the grapefruit flavors that many of Port’s hoppiest beers have to offer (From choice West Coast hops, not fruit zest) so I’m already excited for the approaching beverage. Poured from a cork-finished bottle, this straw colored brew provided just enough head to cover the top of my glass. Citrus notes are present up front, although subtle enough to let some bready, grainy notes push through. Taste presents some floral, fruity tones backed by a crisp, slightly bitter finish with a kick of white pepper at the end. Light mouthfeel adds to the drinkability of this brew, a perfect Summer session at just under 5% ABV. Refreshing, complex, spicy, dry, light – A 3.5 hop rating for Lost Abbey’s Witch’s Wit is clearly in order. There you have it folks. As always, I make no promises on the validity, accuracy, or entertainment value of anything you just read. Just my opinions and some half-assed research on the interwebs. And that’s the sole reason that I write for my own blog and hardly ever publish in the New Yorker. Posted in Ale Factories, Tasting Notes.Tagged California, Lost Abbey, Port Brewing Company, San Diego, Witbier, Witch's Wit. Good lord…that’s quite a commitment from you, Doc. You’d be hard-pressed to find an ale factory that has produced more beers over the years than Port/Lost Abbey. BeerAdvocate lists a mind-boggling 186 beers for Port Brewing and another 40 for Lost Abbey. Compare that to other “prolific” breweries like Dogfish Head (56 offerings) or the Boston Beer Company (54) and Port/Lost Abbey dwarfs the competition as far as variety is concerned. Not that I’m questioning your judgment. They make some ridiculously good beers and you’d be hard-pressed to find a more fun brewery to “explore”. Still, you’ll be working for years to get through their stable of brews! Can’t wait to read your results. If you can find the Older Viscosity (got to try some in SF awhile back), get your hands on it. And the Santa’s Little Helper is equally awesome. As of my last visit to the local packie, I counted 9 offerings from Port and 12 from Lost Abbey. Those selections do change fairly often, but I’d say overall they’ll only have about 30 total unique offerings over the next year. I’ll search in Boston for anything I miss locally and always try rare offerings when on tap, but I can only drink what’s available to me. I’m fairly confident that I’ll come across every beer with at least 100 ratings on Beer Advocate and hopeful that I’ll get to some rare selections as well. Trust me, the Older Viscosity is tops on my list and I hope to God that one of those beauties pops up for me sooner rather than later.